This restaurant is permanently closed. 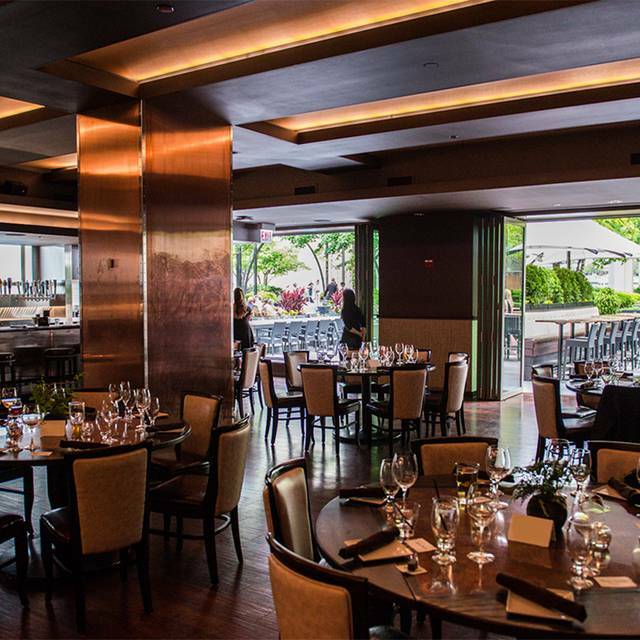 An exceptional Michigan Avenue restaurant in a Chicago landmark. 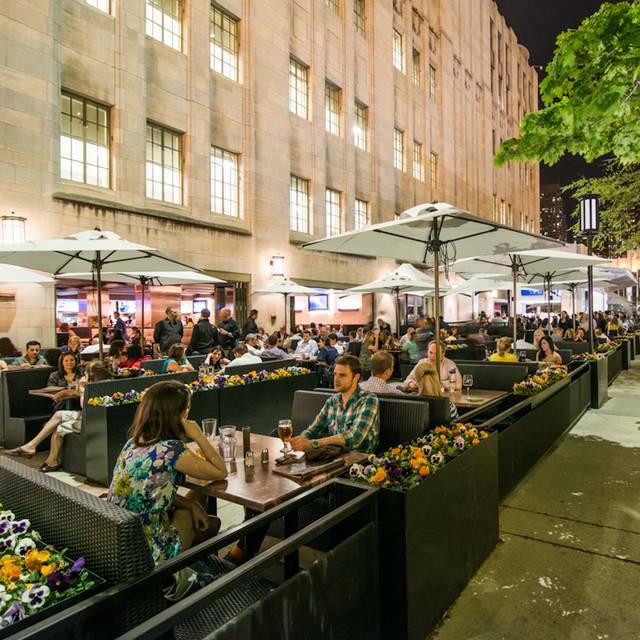 Nestled at the base of Chicago's legendary Tribune Tower, this stunning restaurant is a vibrant addition to Michigan Avenue and downtown Chicago. Incorporating signature Tribune elements into our design, Howells & Hood pays homage to John Howells and Raymond Hood, architects of the Neo-Gothic landmark. 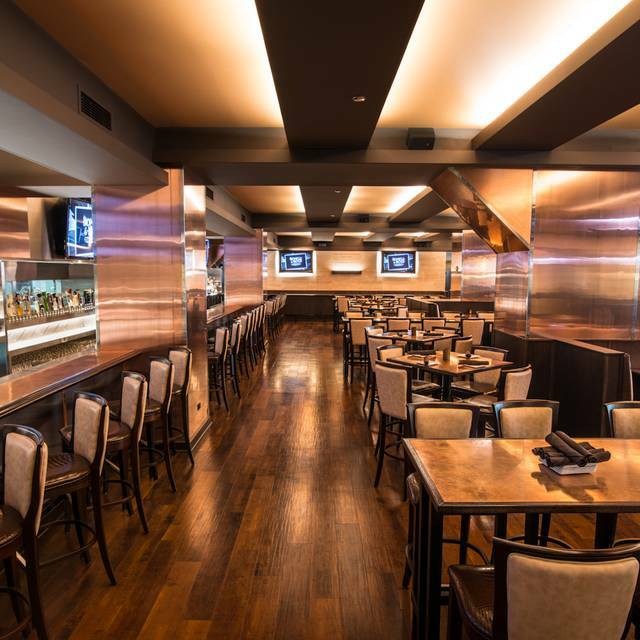 With a Modern American food menu, the largest craft beer selection in chicago, and impressive staff, Howells & Hood is sure to delight foodies and beer lovers alike. Please note, we do not accept reservations for our patio tables. We will do our best to accommodate outdoor seating requests upon arrival. We look forward to serving you! *kitchen closes 1 hr. prior. Please call ahead to check. 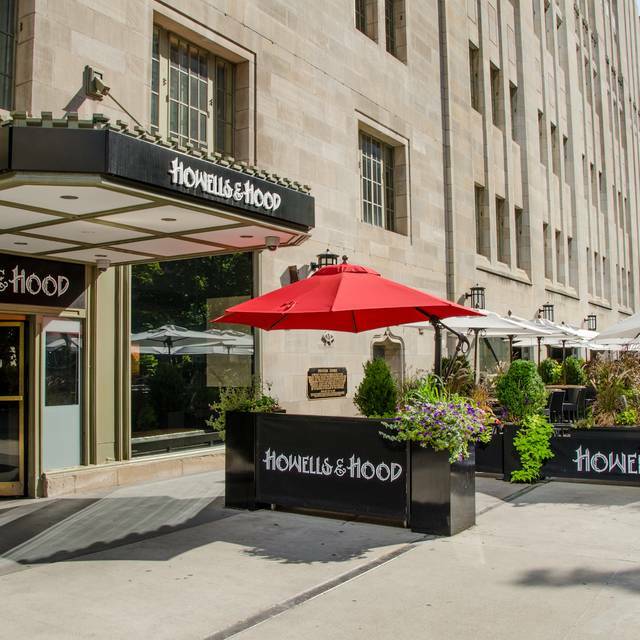 Located in the historic Tribune Tower on Michigan Avenue, Howells & Hood has event space to host intimate dinners, weddings, large corporate events and everything in between. 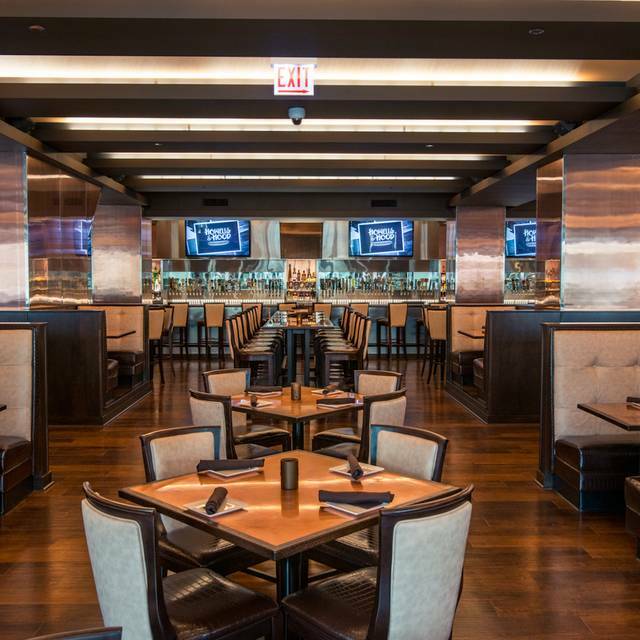 Impress your guests with the largest draft beer selection in Chicago & gourmet cuisine. Buyouts available. We ate here for the last time today. Not because the restaurant is bad, it is a very nice place. Food is always good, service excellent, and the beer list is extensive. But this restaurant will close for good tomorrow as the building it is located in (Tribune tower) is undergoing renovations. We will miss you, Howells and Hood. One of my favorites. So sad that it’s closing. Lucky that we were there the last day. Hamburger was good but just ok. Fish In the and chips were horrible. I’ve had better frozen. Staff was very nice. On a beautiful fall evening we sat outside and enjoyed an excellent meal. Service was good but not hovering. Food was very tasty! Great location, not so good service or food. It might have been an off night. I never know the circumstances so I don’t like to judge. But they had lots of beer. Some were very happy! Get it together....You’re better than this. Very cool outside seating with below avg. waitstaff. Menu was limited and the overall appeal of the place not that great. The only good thing was that is was located within walking distance of my hotel and the previous reviews made it sound better than it turned out. 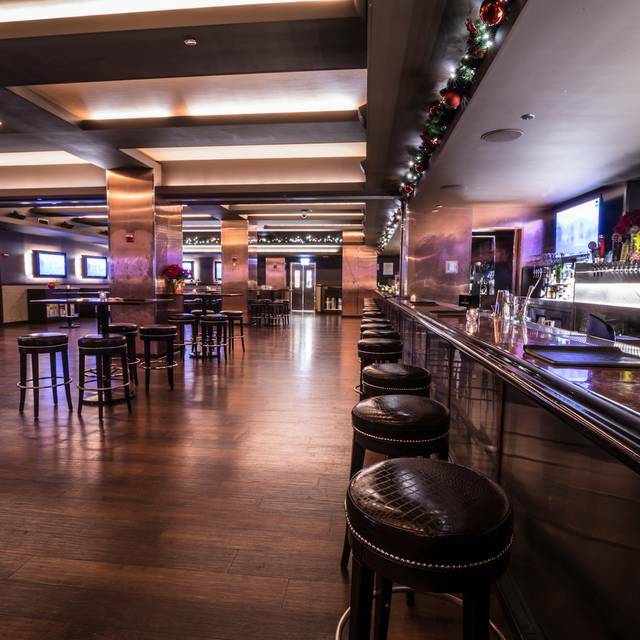 Quiet evening so felt soulless as the inside dining and bar area is vast. Temperature felt chilly as doors were open. V nice helpful server but food v disappointing. Fish tacos were cold and tasteless, bread pudding was still cold and partly frozen in the middle. They did deduct this item from the bill. Good selection of beers were the only redeeming feature. Expensive for v mediocre food. Won’t go there again. Have liked this restaurant every time I've been here. This visit was no exception. Our server was friendly, knowledgeable and very attentive. The Pretzel bites were fresh, warm and very tasty. I had the Risotto - exquisite!!! My dining partner had a burger and said it was one of the best ever. So sad they have to close because of the Tribune Tower being sold for development. I'll miss their food and the wonderful outdoor patio dining experience. Buona Fortuna!!! I wasn’t happy with my meal at Howell’s and Hood. I ordered the steak, which was cooked beautifully, but it wasn’t the same steak meal I had during my first visit. My first visit the meal had delicious grilled vegetables with the streak. Yesterday’s steak was covered in these weird stringy pieces and really bad sauce. I regretted paying over $24 for a meal I didn’t enjoy. Nothing against the server, just the meal was not good and not met to my expectation. This was my birthday meal. Wish I could’ve enjoyed it fully like I did the first time I came. Food was okay, but the portions were small for what you paid for. They have a LOT of beers in their on-tap menu, but they were out of several of the beers that I wanted, so it was disappointing. All-in-all, it was an okay experience. Definitely not a place I would frequent. When we arrived we were asked to wait while they got our table ready. We were then taken to an empty section and seated at a table of 8. We asked to sit in a booth and after much thought we were seated at the furthest back booth. We waited and waited and waited for some service but nothing. Eventually managed to spy a manager who sent the most reluctant server we have ever had. Service was ridiculous - we watched 2 other tables walk out. Food was good and the risotto was tasty. No refills for the kids were offered and by then we had given up. I love this place. Everyone we come to Chicago we try to make it here to eat. we are really going to miss this restaurant. They will close September 30 due to construction at the Tribune Tower. We have to get back before them. Our server was great. Great view of the city and fantastic food options for gluten-free folks like me! Ribs were great as well as the spicy cauliflower! Great atmosphere! Outdoor seating and open air. Will definitely be back. We sat outside on their patio and when I went in for the bathroom, I got a bit disoriented because the door opens up to a musty smelling hallway where their servers receive food from the kitchen. I had eye contact with a server standing there talking to another server and wanted to ask if that was the right way to the restroom or if I came into the staff only section, the server whispered loudly to the other server “I’m not talking to her”, ignored my question and diverted her eyes. Food was okay but the service was terrible. When we were escorted to our table we were told there were no other tables available. We had a reservation but were put in the back to sit on very uncomfortable seats. We saw other people being escorted to other tables. We felt we were lied to. I wanted to leave but husband said stay because we were there. Our waiter was fine. The seats were extremely uncomfortable. I saw 4 other people escorted to table next to us, asked for a different seat and were moved. Not us. The escorted lied. We will not go back. Last night I went for dinner and we sat inside. First of all, I think the air conditioner was broken because it was so hot and humid we could barely breathe. We got our waters and decided to stick it out. About 10 minutes in however, we were surrounded by multiple fruit flies. No windows were open. I hate flies and always kill them; I killed between 5-7 within 5 minutes. But they just kept COMING (as fruit flies do) and were flying in our faces and around our drinks/appetizers. It was to the point where we couldn’t just ignore it. We informed our waitress (we were very polite, it wasn’t her fault) and she said she could move us to the booth behind us. We could see even more flies surrounding that booth so we asked if there was anything available outside or in another area. She got a little snippy but went to check with the manager. Next thing you know, a manager comes over and rudely says “I hear you don’t like our seats here. We’ve found something outside for you.” And begins to walk away, expecting us to follow. So we did. She seats us on the patio, and as she’s putting down our appetizer plate, she says: “And just an FYI, there will be bugs out here too.” Then rolled her eyes and walked away. The food was pretty good and the patio was pleasant. But never in my life has a MANAGER treated my dining group so poorly. We were very nice and appreciative towards both the waitress and the manager. 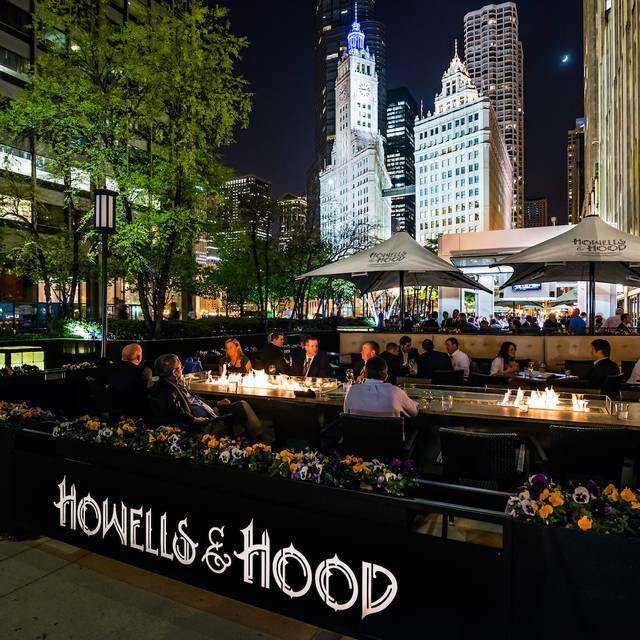 Howells & Hood is a generally a reliable spot with lots of beers and pretty good food, but this experience has absolutely changed my perception. I won’t be going back any time soon. Our server was fantastic. She, more than anything, made our day. It is difficult, I think, to find young people these days who can at least make eye contact with old people, let alone converse with them. Our server was outstanding. Wonderful presentation of food as well as taste. Will definitely go back again. While not directly on the river, the food is so much better than what is offered at the riverside restaurants. The restaurant is attractive; the building is awesome - be sure to walk around the outside walls to see all the historic architectural pieces embedded in the wall. The food was good and reasonably priced. Unfortunately, it was too noisy (at 6:30 - 7:30) to hold a conversation which was disappointing. Ok value, not great food. Horrible service. Would not go back. Any burger (the Homestead is fabulous) or anything with pulled pork is terrific. Huge beer menu. Waiter didn’t offer any specials so we asked and he went through a 5 minute tirade on the Asian ginger salad and how it was terrible - he didn’t like it - and thought it was disgusting. He sort of went into the ingredients (btw I would have ordered it) but then finished it with a comment of “no one with good taste would order it”. Welp. We went there with a big group for a birthday lunch, service was very good, food acceptable and overall a very nice experience for american kitchen. 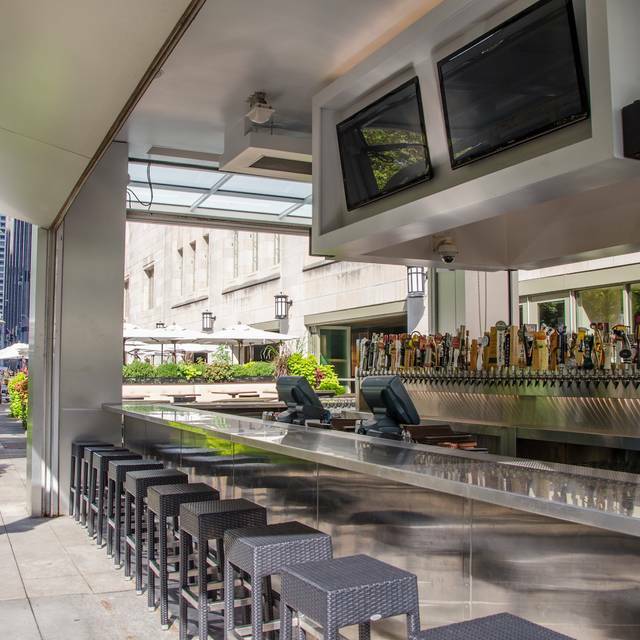 what it is best there is the location, beautiful view of the city and in a very vibrant part of the loop, highly recommended if you are trying to spend a good time, food is fine, nothing out of the normal but good taste and great portions. Served food quickly so we could get to our play. Waiter was attentive but not annoying. Outdoor seating was wonderful. Pleasant place in a great location though it did get a bit loud. Fish and chips was very good. It was easy to book online and the restaurant is in a great location. Make sure to view the front of the Tribune Building to see the artifacts. We went on the architecture book tour and then walked through the new apple store before lunch. All easy to do with a 6 and 3 year old. I am a vegan and they accommodated me and my children as they had a solid children's menu. Great craft beer. Great list of beer. However a couple options were out. Burger was delicious, but there was a lack of pulled pork on the smokehouse burger. Had a solid experience, but not exceptional. Jesse is such a great server! Friendly and so helpful!! The drinks were great and the food was terrific... best ahi tuna tacos around! First, although more than half the outdoor tables were empty, staff were asking people to wait up to 30 mins to be seated outside. We chose to dine inside. The waiter was wholly inattentive. He did ask for our drinks order before he took our lunch order. He never came to check if we wanted refills on our drinks during the meal and never came to see how the food was. I was also very disappointed to see that the Rueben was off the menu as that was the best one I’ve had since moving to Chicago. 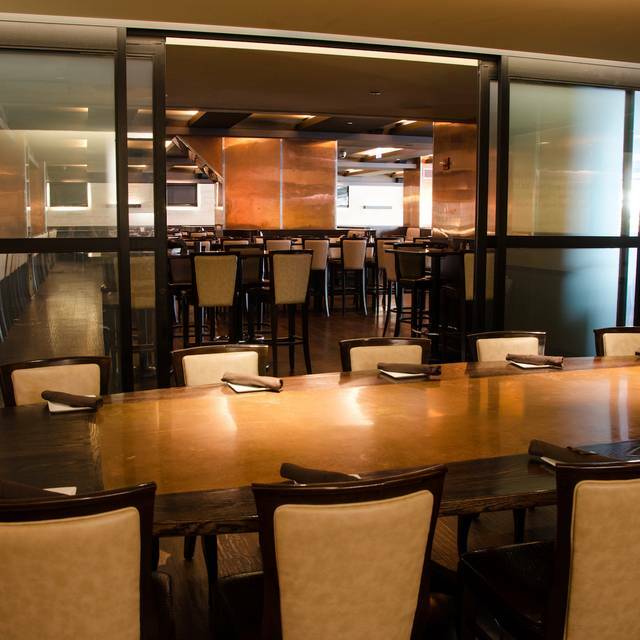 Will find a new go to place for future lunch meetings. Great patio and great beer. Menu is well fitted for a casual meal. 120+ beers on tap. Easy to arrange a flight of tasters, 6oz x4. Outdoor seating, cozy booths, lots of plants, view of skyline, on MI Ave, vibrant atmosphere, all ages, progressive comfort food, helpful wait staff.